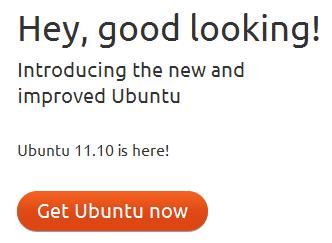 All Ubuntu users rejoice as Ubuntu 11.10, latest version of popular free Linux operating system is officially released today. Ubuntu 11.10 code named Oneiric Ocelot is 15th release of this open source Linux OS. Ubuntu is one of the best user friendly Linux distribution from Canonical. The previous version of this free operating system Ubuntu 11.04 (Natty Narwhal) was released on April 28, 2011 . Ubuntu 11.10 brings many new features and fixes several issues which were present in previous distributions. The most noticeable improvement in Ubuntu 11.10 is the updated Unity launcher which will be running on the top of GNOME 3.2 environment. The dash has also got some updates, finding apps, programs, music, email etc. will be faster in the dash. The workspace tool allows to easily perform multiple tasks in different desktops. The Ubuntu Software Centre has been redesigned for better usability. Ubuntu 11.10 allows to switch between different applications using easy keyboard shortcut like Alt+Tab. Ubuntu is a free Linux operating system, so it can be downloaded freely from the official site. Both 32bit and 64bit of Ubuntu 11.10 is available for download. if the above direct links don’t work then please visit this official download page. Don’t forget to share your experience after installing.